You may not know the name, but you do know his work. Jason Crosby is an in demand session artist who has played with more artists than he can remember. To name a few, he has worked with Blind Boys of Alabama, Dave Matthews, Eric Clapton and Santana, and that is just the tip of the iceberg. Between playing with such huge artists, he does his own music. He is a multi-instrumentalist, so at times he can just play all the instruments. On Cryptologic, he does that for half the songs. Cryptologic is his first solo album since 2003’s Four Chords and Seven Notes Ago, though he did issue an E.P in 2010, And Dark Loft as well as a collaboration with Megan Palmer, You First, released in 2010. As good as those records are, Cryptologic really feels like a debut album. That is not to take away from his first solo projects, but here, he really finds his voice and has come up with a very solid album. 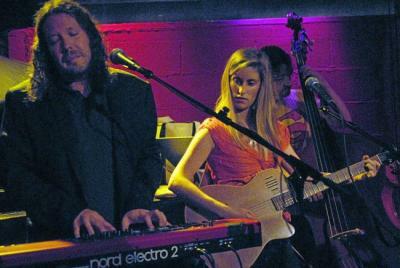 The album was produced by Karl Derfler, who has worked with Tom Waits and Dave Matthews. Together they have assembled an album of songs that should not fit together, yet they all do. Even some of the songs should not fit as they do, yet they work. Listen to the lead off track, “Final Step”, which at times sounds folk/rock, then soars into a Pink Floyd-like chorus. It is a brilliant song that, even with such comparisons, is still its own song. Later in the album, Crosby breaks out into a full fledged rock star. Working with The Mother Hips as his back-up band, Crosby is able to cut loose and rock. The songs with The Mother Hips are co-written with Tim Bluhm (The Mother Hips) and this adds a whole different dimension to the album. Listen to “Was I Ever There”, which has some blistering guitar playing and strong vocals from Crosby. No doubt working as a session musician has opened Crosby up to many genres and styles of music, and he is able to drift between styles effortlessly throughout Cryptologic. There have been a number of session musicians who have become stars in their own right (Leon Russell, Ricky Skaggs, Steve Gadd) and have had, and continue to have long careers. Crosby can be added to that list. This is a brilliant album. It is cohesive and flows together beautifully. He is a talented writer, player and singer. This is the type of album that will continue to grow and gain fans as it ages. It is not entirely instantly accessible, but it is the type of album that you will want to keep going back to and keeping it on your turntable. 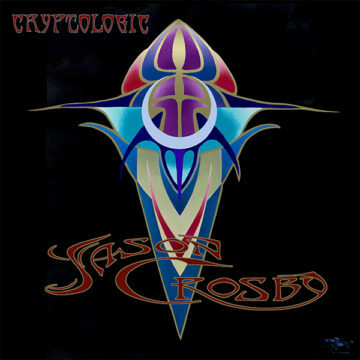 The album, Cryptologic, by Jason Crosby is available now HERE. Richly cinematic and enchantingly playful, Cryptologic was recorded in two whirlwind sessions with producer/engineer Karl Derfler (Tom Waits, Dave Matthews). The first, conducted in the spring of 2016, featured Crosby playing roughly a dozen different instruments, deliberately crafting each song from the ground up by himself with an ambient, compellingly visual quality. The second session, a more raw and reckless affair that went down just a few months later, tapped into the wild and collaborative spirit of rock and roll that’s always flowed through Crosby’s veins, as he captured a new batch of songs (co-written with Tim Bluhm) live in the studio. If Crosby’s name isn’t immediately familiar, his keyboard/violin/guitar playing most likely is. The multi-instrumental virtuoso has toured and recorded with a who’s who of legendary artists, including Eric Clapton, Carlos Santana, Pete Seeger, Dave Matthews, The Blind Boys of Alabama, Robert Randolph, and Susan Tedeschi among others. He’s played on over 40 albums, graced the stages of the world’s biggest festivals, and appeared on television everywhere from The Tonight Show and Austin City Limits to Jools Holland and the GRAMMY Awards. Upon relocating from NYC to California, he took up gigs with Jackie Greene, The Mother Hips, John McLaughlin and Jimmy Herring, and Grateful Dead icons Phil Lesh and Bob Weir, and he soon discovered an audience hungry for his own original material. It was in California that Crosby met Blue Rose Music founder Joe Poletto, and their instant connection felt like a sign from the universe that the time had arrived to take the plunge and record his long-awaited solo debut. "I'm extremely happy and proud to have had this opportunity to release Cryptologic with Blue Rose Music,” says Crosby. “Joe Poletto has been a guiding force since moving to California, and it's been an honor to be selected by him and the Blue Rose Music team to be a part of their music collective foundation." Crosby will celebrate the album’s release with a sold-out headline show tonight at Terrapin Crossroads in San Rafael, CA, before heading east for a special in-the-round performance with Jackie Greene, Steve Earle, Steve Forbert, Joan Osborne, and Anders Osborne October 18 at Red Bank, NJ’s historic Count Basie Theater as part of the Blue Rose Foundation’s annual benefit concert. Blue Rose Music is an artist collective that assists in the business and creative development of select musicians and projects. With extensive marketing and technology resources, Blue Rose enables artists to bridge their traditional audience-building avenues with today’s web, social and digital sharing capabilities. A portion of all revenue is donated to The Blue Rose Foundation, which provides pre-school scholarships to financially disadvantaged children. If you don’t know the name, you should, because he’s played with just about everyone in the Jam band community, and the bigger community. From Eric Clapton to Robert Randolph, Phil Lesh, and Bob Weir amongst others. Crosby’s resume looks like a who’s who of rock hall of famers and potential ones. A multi-instrumentalist who has done his duty both on the road and in the studio, we sat down with Jason Crosby to learn more about his latest release Cryptologic. For more information on Jason Crosby click here! You'll definitely want to check out his discography and tour schedule. You can order his new record here! Well, we survived a fire in the apartment two doors down yesterday that totally destroyed it and caused damage to two other apartments. Mucho thanks to the Fire Department for getting it out and limiting the damage. Planning on heading down to Oklahoma next week to see my brother who just returned from a year in Iraq. Looking forward to the beautiful trip through Montana, Wyoming, Colorado and Texas on my way to Lawton, Oklahoma. When I get back I’ll be heading out on tour with Jerad Finck for three weeks. Our first show is October 16 in Shoreline, Washington, where we will share the stage with Polly O’Keary & the Rhythm Method, winners of the Best Blues Band from the LA Music Critic Awards for the first half of 2017. We currently have shows scheduled in Portland, San Francisco, Los Angeles, Murrieta, San Diego and Missoula, and hope to add a few more along the way. Fresh off the release of her new video for “All That I Want,” Nashville’s own Kelly McGrath has signed with U Management and will be embarking on a tour of UK and Europe during October and November. For more details, subscribe to her email list by visiting her Facebook page to sign up. She’s doing a music video release/farewell show in Nashville on September 28 at The Family Wash. Don’t miss your chance to see her before she leaves on tour. Here’s the latest single, “Secret Crush,” from Bay Area electropop band PARENTZ. It has a great vibe that’s perfect for your Monday morning. Please let us know what you think. Speaking of great vibes, check out “Right Now,” the stunning new single from Becca Richardson. We simply love her voice and this single, and can’t wait until she releases her album. We’ll be reviewing it for sure. For something totally different, check out “Final Step” from Jason Crosby. It has a very strong Grateful Dead vibe that should strike a chord with those who love classic rock ballads. Our first new video this week continues in the mellow vein of the preceding artist. Brandon Bonine brings us a simple request: “Remember my Name.” We love the guitar and the sentiment. This is his debut single – please let us know what you think. Mellow seems to be the mood of the day. Please check out the deep bass vocals of The New Faith in their video for “Fritter Away.” The musical accompaniment is amazing and the videography is superb. What do you think? We close out this week with the first official video from Boomerang, the new album from Blue Élan artist Chelsea Williams. This one is guaranteed to get your Monday off to a great start. Please enjoy “Lonely Girl,” an Americana instant classic! 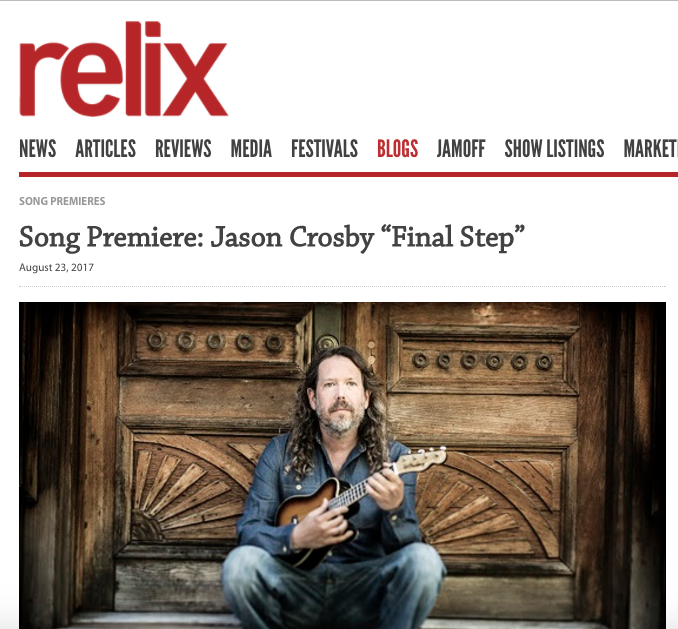 Jambase: Jason Crosby Shares New Single "Final Step"
The 10 songs making up Cryptologic were recorded during two main recording sessions held with producer and engineer Karl Derfler. Crosby played nearly a dozen different instruments during the first session held in early 2016. Another batch of songs were co-written with Tim Bluhm and recorded live during a session that included his band The Mother Hips. Currently available to pre-order, a limited run of CD and vinyl editions of Cryptologic featuring artwork by renowned Bay Area artist Stanley Mouse will be for sale at the merch table on the road and through Crosby’s webstore. Multi-instrumentalist and longtime Phil Lesh collaborator Jason Crosby will release his new album Cryptologic on September 29 and today, we're excited to premiere "Final Step" off of that record. The album features essentially two halves, the first of which finds Crosby playing every instrument himself and the second where he is backed by members of The Mother Hips. On the tune, Crosby told Relix, "I wrote 'Final Step' late at night on a beach in Maui with a friend's Ukulele, and was still looking at the Pacific Ocean when we recorded it in Stinson Beach. It's been quite a journey for me over the years, and I think this song captures that well; it sets the tone for the album's message of one's ability to step outside of a dark path to find peace." Sept. 29 - Save The Date! Cryptologic Release Show Announced! FOR IMMEDIATE RELEASE New York, NY (August 15, 2017) - Blue Rose Music and Jason Crosby announce the release of Jason's forthcoming album Cryptologic, set for release September 29 on digital formats, with CDs and LPs available on the road and through Jason's webstore. This is Jason's first release with Blue Rose Music, available for pre-order August 25. 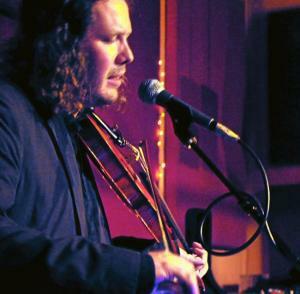 Jason Crosby is a musician's musician. His perfect pitch was discovered when he picked up his first violin at 2 years old. Immersing himself in classical music, he became a professional piano player at a young age, and would go on to learn guitar, viola, French horn, and trumpet, touring with the Long Island Youth Orchestra to China, Russia, Australia, and Cuba. He soon expanded his musical horizons from Classical to Jazz, Funk, Rock, and Latin, before becoming a fixture in the Jam Band scene playing with Susan Tedeschi Band and Robert Randolph and the Family Band, then later The Allman Brothers, members of The Grateful Dead, and the Meters. Over the past few years, he has toured with Carlos Santana, Eric Clapton, Pete Seeger, the Blind Boys of Alabama, Dave Matthews, and Jackie Greene, in addition to sharing the stage with BB King and the Rolling Stones. In addition to his impressive touring resume, Jason has played on over 40 recorded albums. When Crosby met Blue Rose Music founder Joe Poletto, it felt like a sign from the universe that the time had arrived to take the plunge and record this long-awaited album. Crosby headed into the studio with producer/engineer Karl Derfler (Tom Waits, Dave Matthews) for two whirlwind sessions, each capturing a different side of his musical personality. The first, conducted in the spring of 2016, featured Crosby playing roughly a dozen different instruments, deliberately crafting each song from the ground up by himself with an ambient, compellingly visual quality. The second session, a more raw and reckless affair that went down just a few months later, tapped into the wild and collaborative spirit of rock and roll that’s always flowed through Crosby’s veins, as he captured a new batch of songs (co-written with Tim Bluhm) live in the studio with Golden State stalwarts The Mother Hips as his backing band. Richly cinematic and enchantingly playful, Cryptologic reveals Crosby to be not only an unparalleled instrumentalist, but also a supremely talented songwriter. 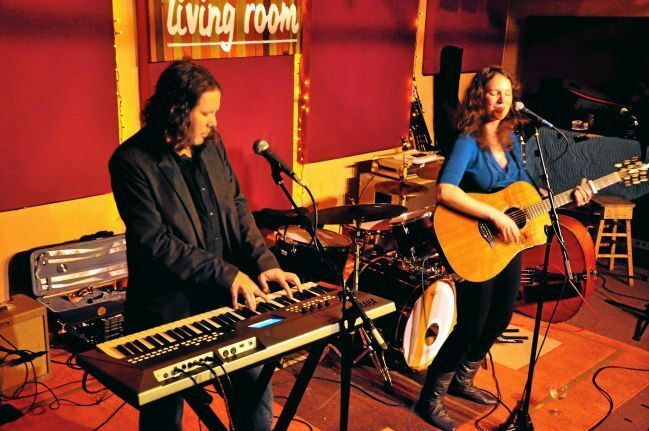 The Blue Rose Foundation will host a benefit concert on October 18 at the Count Basie Theater in Red Bank, NJ to honor the memory Marie and Fred Hope featuring a number of singer-songwriters in the round. Among them, Jackie Greene, Anders Osborne, Joan Osborne, Steve Earle and Steve Forbert, who will come together for a night of collaborations with special guest Jason Crosby. Considered by his peers as a pro’s pro, guitarist Jimmy Herring has long staked his claim as one of the jam band scene’s finest and most original players. From his origins in the late 80s and 90s with the groundbreaking Aquarium Rescue Unit alongside the legendary Col. Bruce Hampton to his stints in the Allman Brothers Band, Phil Lesh & Friends, The Other Ones and finally Widespread Panic where he resides now since 2006, Herring has displayed his undeniable virtuosity on any number of different platforms, the most recent with his newly formed outfit, The Invisible Whip. Consisting of Herring on guitar, drummer Jeff Sipe (aka Apt Q258), Matt Slocum on B3 organ and clavinet, bassist Kevin Scott and multi-instrumentalist Jason Crosby on Fender Rhodes, piano and violin, The Invisible Whip channels the ethos of ARU mentor Col. Bruce and his pursuit of living for the moment on stage. Last Friday, August 4th, Herring & The Invisible Whip put their talents on full display at Mr. Smalls Theatre in Millvale, PA, delivering a multi-dimensional set of music spanning Herring’s illustrious career. Coming out with a full head of steam on the Slocum-lead “Matt’s Funk” to open the night, it was apparent from the get-go that this was no new project, though on paper it may show up that way. Herring, Slocum and Sipe have been playing together for the better part of two decades and it shined through with dazzling interplay and astute timing all night, everyone in the right place at the right time. A gorgeous and ripping rendition of the Allman Brothers Band’s “Les Brers In A Minor” followed, a fitting tribute that certainly would have gotten the approval of recently departed ABB founding members, Butch Trucks and Gregg Allman. From there, Herring introduced “Sketch Ballad,” the first of several new songs that will find their way onto his new solo album. A patient, slow-burning jazz composition, this was but a mere reminder that Herring’s talents run far beyond the high-voltage solos he takes nightly with Widespread Panic. One of the evening’s most engaging numbers came in the form of Miles Davis’ “Black Satin.” If the notion that the best guitar players in the world mimic horn players holds true, then consider putting Herring at the top of the list. His willingness to jump off the deep end into the unknown is a sight to behold. Throw Jason Crosby’s violin into the mix on this one, and you have yourself an instant classic. Two songs from Herring’s 2008 solo album, Lifeboat, came next in “New Moon” and George Burns’ “Jungle Book,” the former, a heavier, mesmerizing composition, with the latter invoking childhood memories of the classic 1967 Disney film with the same name. A perfect selection for this band, the exquisite musical excursion was traversed with a confidence and ease. The mellow mood of the evening continued with “Sketch Slow 6/8,” another opportunity for Herring to show off his prodigious jazz chops. The energy got ramped back up during “Sketch Up Tempo,” a light, breezy song that just barreled head-first right into the fusion of “Rainbow,” a tune from 2003’s Project Z, which also featured Jeff Sipe on drums. Herring & The Invisible Whip got back to some funky territory during a cover of Jimmy McGriff’s “Miss Poopie” followed by Strength In Numbers’ “Slopes,” which was remarkable hearing considering it came from a bluegrass-based band with the likes of Sam Bush, Jerry Douglas, Béla Fleck, Edgar Meyer and Mark O’Connor in it. “1911,” another new song that will appear on Herring’s upcoming solo album closed out their set with the intensity of “Scapegoat Blues” serving as the band’s lone encore, an awesome punctuation on the evening’s festivities. Make no qualms about it, Jimmy Herring & The Invisible Whip are more than just a side project. Herring has surrounded himself with a cast of world-class musicians who share his same devotion to the music and willingness to test the boundaries of what is accepted in the realms of rock, jazz, funk and fusion. Guided by the memory and philosophy of one of jam music’s pioneers in Col. Bruce Hampton, this electric five-piece are guaranteed to take any listener on a rewarding musical roller coaster ride. The 2017 installment of HIPNIC will be held at Fernwood Resort in Big Sur, California May 19 – 21. (((folkYEAH!))) puts together the festival with Bay Area favorites The Mother Hips each year. Sadly, Tim Bluhm won’t perform at HIPNIC IX, but The Mother Hips have brought in a pair of jam scene veterans to play with them at the festival. The festival has released the daily schedule which can be viewed below. Midnight North, Jonathan Richman, Vetiver, Chuck Prophet and Waco Brothers are among the other acts on the bill. Camping passes for HIPNIC IX are on sale via Eventbrite. As per tradition, Phil Lesh hosted his 77th birthday party at the Capitol Theatre in Port Chester, NY. After two nights at the Brooklyn Bowl, the original Grateful Dead bassist was joined by vocalist Joan Osborne, guitarists Stanley Jordan and John Kadlecik, keyboardist Jason Crosby, and drummer Mark Levy as “Friends” for the first of three nights at the Cap. The night mostly celebrated the music of the Grateful Dead, with a covers of “After Midnight,” “Eleanor Rigby,” and “Stairway To Heaven.” The evening closed with a “Turn On Your Lovelight” > “Happy Birthday Phil” > “Turn On Your Lovelight” complete with psychedelic patterned, terrapin turtle and dancing bear birthday cake, courtesy of promoter Pete Shapiro and the rest of the Capitol Theatre staff. “You can’t go back and you can’t stand still,” sang the Grateful Dead in their classic song “The Wheel”. But there are times when re-visiting a historic occasion seems appropriate as a way of honoring seminal moments in rock history. The 50th anniversary of 1967’s Monterey International Pop Festival is such an occasion. Monterey Pop was a key turning point for the rock counterculture’s impact on pop culture at large. The festival featured breakout performances by Jimi Hendrix, Janis Joplin, and the Who, raising rock’s profile in the larger cultural scheme of things. There were also appearances by Jefferson Airplane and the Grateful Dead, boosting the aura of the San Francisco music scene and some say kicking off the fabled “Summer of Love”. The 2017 lineup isn’t quite as star-studded as what was put together in 1967, but organizers have scored a coup by pulling in Grateful Dead bassist Phil Lesh to close out the weekend on what is the exact 50-year anniversary of the Dead’s performance at the original event. It becomes apparent upon entering the grounds however that the venue isn’t as large as historic accounts might suggest, meaning that keeping the event on a smaller scale is not only wise but necessary. The chance to revisit such a pivotal moment in rock history is enticing and it’s a beautiful Sunday afternoon in Monterey with temperatures in the low 70s as curious music fans arrive on the scene of the historic Monterey County Fairgrounds. The temperate weather is a welcome oasis for Deadheads from Marin County, since the temperature in San Rafael (where Phil Lesh & the Terrapin Family Band are based) has reached into triple digits. The Monterey Pop Festival has long lived in a sort of fantasized lore for Gen-X music fans who weren’t even born yet in 1967, so there’s some level of cognitive dissonance upon entering the main stage area and seeing how small the field and surrounding stands seem. Historical data indicates the festival’s approved capacity was only 7,000, yet crowd estimates have ranged from 25,000-90,000 hanging out in and around the fairgrounds. The main stage area would be hard pressed to hold 10,000, so it’s tough to imagine 25,000-plus people on the premises. The fact that the career-making performances from Hendrix and Joplin occurred before such a smaller audience defies logic, save for the famous film by D.A. Pennebaker that brought Monterey Pop to many more. “I am very excited to be performing at the Monterey Fairgrounds again. This time with the Terrapin Family Band. Fifty years on, Monterey Pop remains the original from which all subsequent festivals grew. And it is truly an honor to be able to revisit that spirit with the fine young musicians in this band,” the pioneering counterculture rocker said. It feels like an honor just to walk the grounds where such rock history took place, for there are few such venues from the ‘60s still in operation in 2017. The Hollywood Bowl is another case in point, where Lesh’s former bandmates in Dead & Company performed less than three weeks earlier and delivered a performance on June 1 that testified to how vibrant the power of the psychedelic rock scene that helped forge the ‘60s counterculture can still be. Monterey Pop organizers therefore earn kudos for giving music fans a chance to visit such a special place in music history. But why acts like indie-rock group Kurt Vile & The Violators and indie-folk band The Head & The Heart have been scheduled on this Sunday lineup around Gary Clark Jr. and before Phil Lesh is puzzling. Saturday’s lineup had both Jackie Greene and the North Mississippi Allstars, both of whom have played with Lesh and would have seemed a better fit for the Sunday crowd that mostly seems to have been drawn to see Lesh on historic ground. Mr. Vile is not without his talents and his upcoming co-headlining fall tour with rising indie rock queen Courtney Barnett holds great promise. But his band’s mid-afternoon set falls a bit flat here. The lo-fi fuzzy guitars don’t sound bad and the tunes have a sort of Pavement meets Bob Dylan vibe that could be more impactful in the right context, but the band fails to generate much buzz here. Gary Clark Jr. cranks things up a notch though, offering a heavy blues vibe that makes him the festival’s obvious stand-in for the Jimi Hendrix role. No guitar player would accept comparisons to Hendrix of course, but the Austin, Texas-based guitar slinger has carved out a well-earned reputation as one of the hottest blues rock guitarists in modern music. Hence he has accepted the task of delivering a Hendrix tune in honor of the occasion. Clark’s set isn’t quite as charged as the one he delivered before a much larger audience at Coachella last year, but he certainly gets the crowd engaged in a way that wasn’t happening during Vile’s set. Clark seems to invoke the spirit of Hendrix on “When My Train Rolls In”, a deep blues tune that feels like a clear sonic descendant of Jimi’s “Hear My Train a Comin’”. The jam features Clark’s most blistering playing of the day as he delivers an extended solo that wins a big roar of approval from the audience. This sets the stage for a stellar jam on Jimi’s “Third Stone from the Sun” at the end of the set, where Clark’s arrangement mixes blues, grunge, and psychedelia for a fantastic sound that lights up the evening. A surprise treat occurs during the break at the main stage when Animal Liberation Orchestra delivers an unannounced acoustic set at the small stage in the food court area. The Bay Area jam rockers kicked off the mainstage activity at high noon and deliver a bonus set here for the later travelers who weren’t able to make it down so early. Guitarist Dan “Lebo” Lebowitz and bassist Steve Adams have both become regulars at Lesh’s Terrapin Crossroads club in San Rafael, and so they’ve become key players in helping to keep the Bay Area music scene thriving. They draw a number of the usual suspects here for an excellent bonus set. The Head and the Heart have a pleasing indie folk rock sound, but the band seems out of place sandwiched between monster instrumentalists like Gary Clark and Phil Lesh. Their set is fairly well received, although like Vile’s set earlier, it largely fails to ignite much in the way of a reaction from the audience. A notable exception occurs though when none other than Michelle Phillips from the Mamas and Papas (Sunday headliners of the original festival) comes out to join the band for a transcendent rendition of “California Dreamin’” that feels like magic. Then at last it’s time for the climactic set of the day as Phil Lesh & the Terrapin Family Band hit the stage shortly before 9:30 pm to close out the festival. The temperature has cooled significantly, but the band aims to heat things up by opening with “The Music Never Stopped”. The set is plagued by sound problems early on however, as lead guitarist Ross James is far too loud and piercing in the mix, drowning out guitarist Grahame Lesh (Phil’s 30-year-old son), drummer Alex Koford, keyboardist Jason Crosby and even Phil Lesh himself. Phil seems to notice this about halfway through the song when he stomps on a pedal that boosts his sound significantly. Vocalist Nicki Bluhm—another Terrapin Crossroads regular who also played earlier in the day and sang “White Rabbit” and “Somebody to Love” with the Dirty Dozen Brass Band in tribute to Jefferson Airplane—appears to help out on vocals and her voice sounds perfect, leading fans to wonder why the soundman still can’t fix the mix yet. The mix issues persist into “Help on the Way” and “Slipknot”, with drummer Alex Koford barely audible. This leads some to wonder if the Terrapin Family Band is experiencing the Grateful Dead curse of “always blowing the big ones” since this is one of the largest audiences they’ve ever played to. Pigpen was a key force in getting the Grateful Dead off the ground, being the one that urged Garcia to form an electric band and being the group’s primary vocalist and showman in the early days. It’s therefore heartwarming to see Pigpen honored here as the band gets into a great groove and then nods to the Dead’s set from 1967 when “Alligator” segues into “Caution”, as it did 50 years ago. The band’s chemistry starts to ignite here and their sonic alchemy is soon showcased when they execute a masterful segue from one of Lesh’s signature tunes “Box of Rain” into Garcia’s bluesy power ballad “Wharf Rat”, with Koford delivering a deep vocal that reveals him to be an old soul beyond his years. The band then segues back into “Box of Rain”, with another seamless transition, a hallmark of Grateful Dead music at its finest. James sings again on a slowed-down arrangement of “Like a Rolling Stone” that seems like a nod to the memorable version Hendrix played here in 1967. It doesn’t have the rocking groove like more up-tempo versions Lesh has played with other lineups, but the mellower tempo is closer to Jimi’s version and seems to fill the ballad slot in this set following a rocking “Jack Straw”. A powerful visit to “Terrapin Station” highlights the evening with Grahame Lesh on lead vocal, and there’s a truly endearing vibe here watching the younger Lesh lead the band through Garcia’s most epic song while Dad continues to drop bass bombs. The band steers the energy into a sizzling jam on “I Know You Rider” for a high-energy finale that has everyone dancing, leaving fans wondering how the 90 minute set flashed by so fast. The fact that Lesh is still out there rocking to hold the line against such depredations here in 2017 is a testimony to his status as one of rock’s greatest shamanic practitioners, as well as to the timeless quality of Grateful Dead music as a beacon for counterculture resistance against the forces of old and evil. The spirit of 1967 lives on in this music, as does the resistance against a short-sighted culture based on greed and fear. The dream for a better world and a more sane society lives on as long as the music plays. Live For Live Music presents Inside Out With Turner and Seth will have a full episode featuring John “JoJo” Hermann of Widespread Panic next Wednesday. Today, however, the program dropped its fourth “Tweener” episode in observance of the passing of legendary musician Prince a year ago today. This mini-episode harkens back to InsideOut wTnS’ Episode 19 which featured extensive interviews with Roger McNamee (Incredibly Prescient Business Mogul, Doobie Decibel System, Moon Alice) and multi-instrumentalist Jason Crosby (Phil Lesh and Friends, Roger Daltrey, Doobie Decibel System and so many others). While McNamee and Crosby each have fascinating stories, this episode focuses on Jason Crosby, a supremely talented musician who has played with an absolutely stunning array of musicians. Jason Crosby first tells about a very special night when he was a member of the Blind Boys of Alabama and Prince showed up side stage. “The bodyguards came over and whispered into Joey’s (Williams, band leader of Blind Boys of Alabama) ear, ‘Prince would like to sit in,” and he walked over (Joey, toward Prince) and was like, ‘do you want this?’ with his guitar. And Prince…met him halfway and grabbed the guitar.” Crosby relates the excitement, and even confusion which resulted from this impromptu collaboration. Then, Jason talks about playing a 1995 gig with Solar Circus in Long Branch, NJ, near Asbury Park the day after Jerry Garcia died. While soundchecking, the band noticed that Bruce Springsteen was sitting at the bar taking in the music. “We sent our elder members of the group….our drummer and guitar player who were like ‘The Guys,’ they went up to him and asked him, “Mr. Springsteen….we have this show tonight, it’s a sold out show, a tribute to Garcia who passed away yesterday. We just have to ask, it’s ok if you say ‘no,’ but would you do one song with us?” Jason tells about how and why this turned into an entire set ofSpringsteenar Circus, and how over a decade later the spontaneous collaboration was first discussed on The Tonight Show, and then later was discussed by Jason and Bruce themselves when they were reunited at Pete Seeger’s 90th Birthday Party at Madison Square Garden. 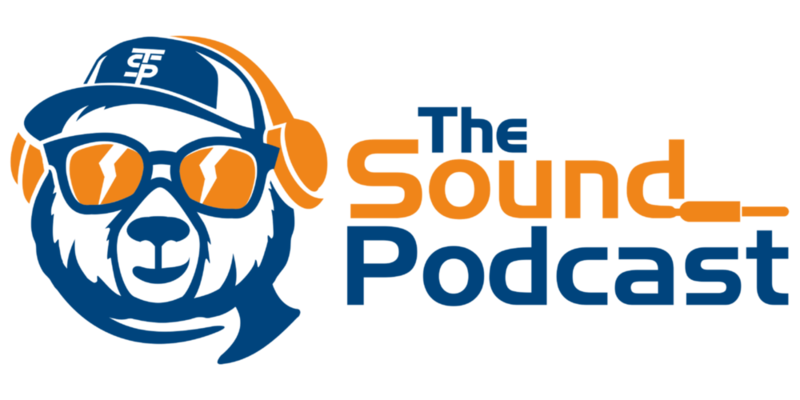 Live For Live Music Presents: The Inside Out With Turner And Seth podcast is slowly but surely earning a reputation for delivering some of the most unique and in-depth music interviews in cyber-land. The program serves up behind-the-scenes “industry” perspectives mixed with journalistic points of view and fan input to offer a unique and varied view of the vast world of organic music–with occasional laughs mixed in for good measure. On February 25th, a number of Grateful Dead family musicians will join forces for Tree Of Life 3, a benefit concert supporting to non-profit group Ferncliff Manor, Inc. Held at Rough Trade NYC in Brooklyn, NY, the event will feature performances from Sunshine Garcia Band and Friends, Jason Crosby and Friends, Peck & Penn and Friends, Katie Jacoby (solo mini set), Alexander Nelson and Friends (with Special Guests), WOLF! (ft. Scott Metzger) and a super jam called the Tree of Life Band! The full artist lineup includes Jason Crosby, Scott Metzger, Taylor Floreth, Jon Shaw, Sunshine Becker, Elliott Peck, Alex Jordan, Alexander Nelson, Katie Jacoby, and Jesse Bardwell, so expect a lot of cross collaborations between acts throughout what is sure to be a great night of music. The event will raise money for Ferncliff Manor, Inc., a non-profit residential school for children with disabilities in the New York area. You can find tickets and more information here, and see the event artwork below. The first time I saw Jason Crosby do his multi-instrumental thing, he was alongside Bob Weir and Phil Lesh, playing violin on one of the “Weir Here” webcasts last year at TRI Studios in San Rafael. I thought to myself, ‘Who is this guy, this newcomer who’s on stage right off the bat with two original members of the Grateful Dead? He must be the world’s greatest sideman. As it turns out, that wasn’t too far off. A modest 39-year-old with an easy laugh and friendly demeanor, Crosby has played with Clapton, Springsteen, Santana, any number of superstars. But he was as blown away by what had gone down that night at TRI as anyone. Crosby (no relation to Bing or David) is one of those naturally gifted musicians who can play just about anything he picks up. He began taking violin lessons when he was 2. At 4, he was picking out violin tunes on the piano, discovering he has perfect pitch. His arsenal also includes Hammond B-3 organ, trumpet, French horn, baritone horn, guitar, bass, mandolin and percussion. In high school, he toured the world playing classical music as one of the youngest members of the Long Island Youth Orchestra. Crosby promised his parents that if he wasn’t making a living playing music by the time he was 21, he’d go to college. He made good on his promise. Sort of. After high school, he was briefly a business major before going on the road with Grammy-winning bassist Oteil Burbridge and his band, the Peacemakers. That led to three years of touring and recording with blues singer-guitarist Susan Tedeschi, wife of guitarist Derek Trucks. When she took a year off to have a baby, Crosby joined pedal steel sensation Robert Randolph’s Family Band. After a year on the road with the Blind Boys of Alabama, Crosby, who’s single, took a break from touring, staying home in New York, playing his own music, producing records, doing session work. A year ago, Lesh brought him to Marin to play some shows with him at his Terrapin Crossroads in San Rafael. Crosby played on American Idol winner Phillip Phillip’s debut album, “The World from the Side of the Moon,” which went platinum. But he turned down an offer to tour with Phillips’ road band, preferring to stay in Marin and establish himself in his new home. Since then, he’s been playing with Lesh, Weir and with Shana Morrison’s band. 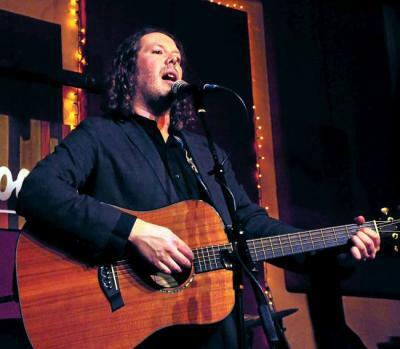 On Monday, he’ll celebrate his 40th birthday at Sweetwater Music Hall with Dan “Lebo” Lebowitz from the Animal Liberation Orchestra, Stu Allen, Reed Mathis from Tea Leaf Green and who knows who else will show up. © Jason Crosby. All Rights Reserved.